New Website Launched, Game Tips Guide is a website that provides information about mobile and console games. We have made a few minor changes to the quoting software on the Greene-Niesen Insurance Agency website. These changes have been applied to help better serve customers who are in need of insurance quotes in the states of Wisconsin, Illinois and Iowa. Additional minor design changes have been applied to the website which includes emboldened contact information in order to help customers reach out to the agency. We have added 80 new round tables to the Conference Table Company website. These tables include 36 inch, 42 inch and 48 inch tables with either a laminate base or a variety of metal bases. All of these tables can be ordered and shipped to your door in as little as 3-5 days. We are excited to have completed the main architecture for the Conference Table Company website by Madison Liquidators. This is a huge milestone in progress for this project as it has been in development for a little over 6 weeks now. The main website currently showcases over 180 different conference tables and we have approximately 200 more we will be adding in the coming weeks. We've applied an update to LinkTo.Directory to feature the top linking domains and provide direct links to a search results page showing the collection of links that site has a referring link on. In order to complete this we had to do a reset on the main index which will take a couple of hours to rebuild. We have added 7 new conference table power outlets to the Madison Liquidators website. These power modules can be installed in the middle of a conference table, have seamless attractive tops and cord access below for power, data and media connectivity. We added a page to spudger website that answers 28 common questions about the spudger. These include what types of spudgers are available, how to use them and where to purchase them. A definitive guide to the spudger tool was applied to the Spudgers.com homepage. This update largely encapsulates everything there is to know about the spudger tool, how it is manufactured and what it is used for. We have added a new section to the site to feature RSS Feeds for our site and websites that we maintain. 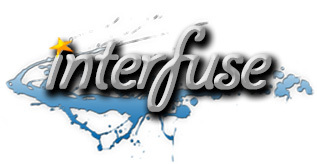 Currently we only have the Interfuse News and Updates feed posted here but more will be added shortly.